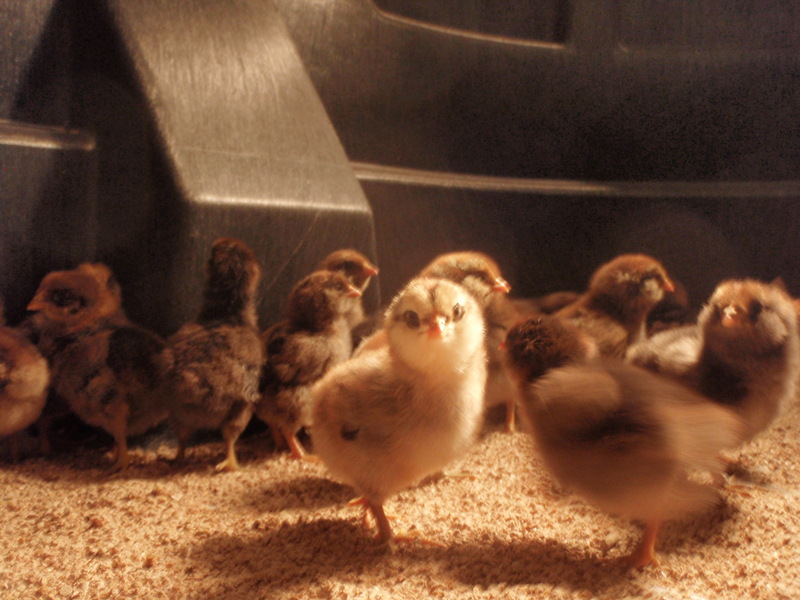 Roots and Feathers Farm has officially hatched its first batch of Spring Chickens! The story began a month ago on a blustery, flurry-filled late-Wintery day when our flock was decimated in one afternoon by a frenzied fox. We lost 12 of our 16 birds, including our rooster, in a horrendous display of predation. The birds were not eaten by the sneaky fox, who crept in the yard through a small hole in the fence, but tossed about, broken apart and left for dead, only one being carried off to the den. And to kick us while we were down, the next morning our “sweet” dog intercepted a chicken from the woods returning to its home and made the poor bird a nice meal for himself. Arghhhh….. 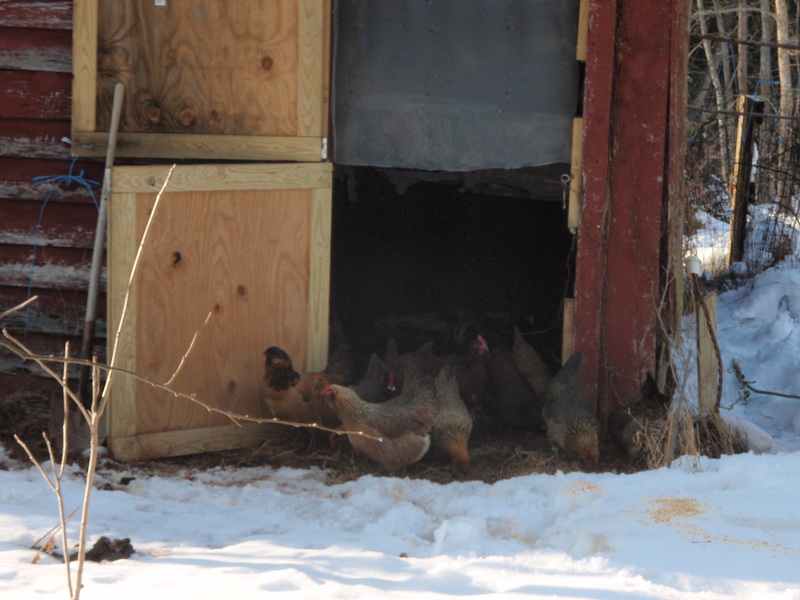 The three hens who remained did not leave their perch inside the barn for days. Instead of settling on defeat, we had the idea to gather the last few days’ worth of eggs, buy a $50 incubator and see what the possibilities could be. We had no idea if the eggs were fertile, and no way of checking as the shells on the eggs were too think to candle, but we knew we had a busy rooster. After 18 days of incubation, turning the eggs three times a day, trying to keep the temperature at a steady 99.5 degrees, plus an additional 3 days to let the chicks position themselves for hatching- a crack! 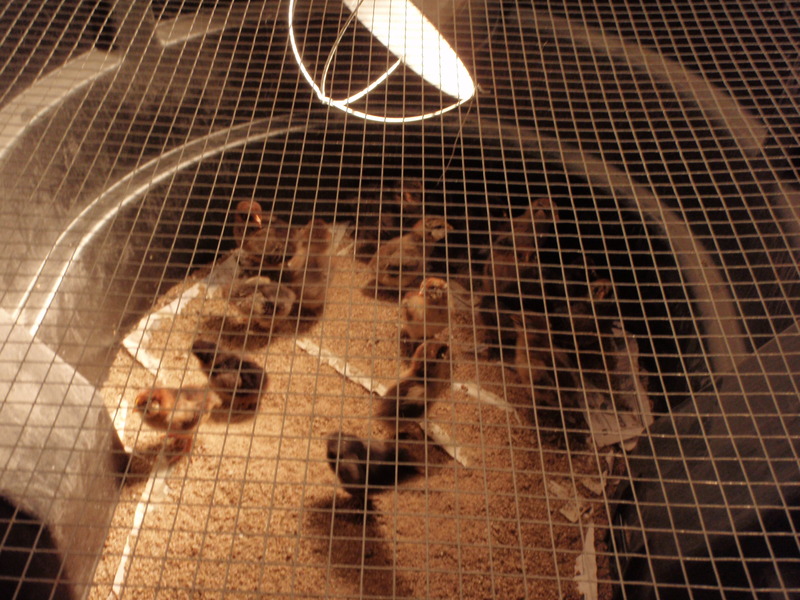 March 31 the first chicken came out of its egg to be followed by 18 more! 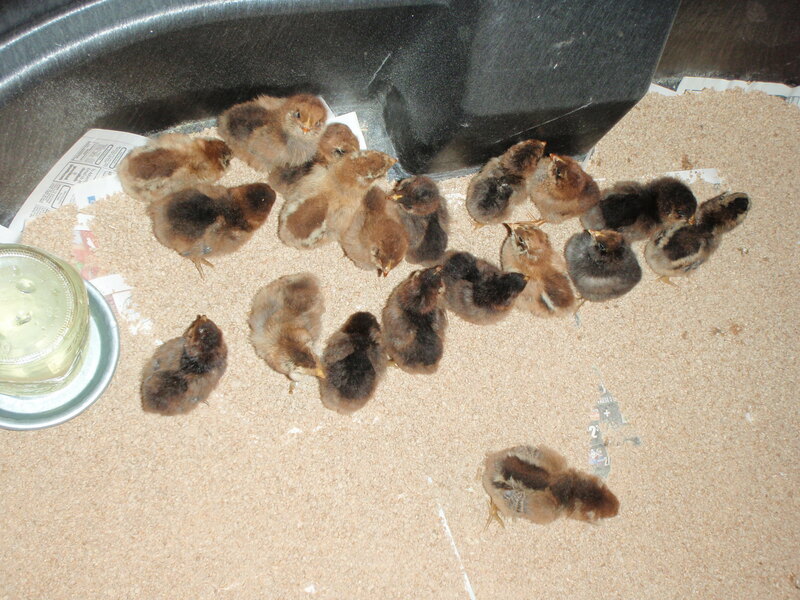 Out of 24 eggs, 22 were fertile, but three never made it out of their shell, but 19 did!!! So we are now the proud hatchers of our succession flock- over one bird for each bird we lost. We even have a fuzzy footed friend, just like our Madame Cornichon. We could not be happier and neither could the birds. We are amazed at this circle of life, at the same time, learning not to become too attached. These birds will have a new home on lockdown- a super secure mobile coop to be moved about daily for rotational grazing in our vegetables fields. They shall have fresh grass, bugs, protection and sunshine. We shall have fresh eggs, manure fertilization and insect control. Symbiosis at its finest!